What to do in Washington DC on Thanksgiving? 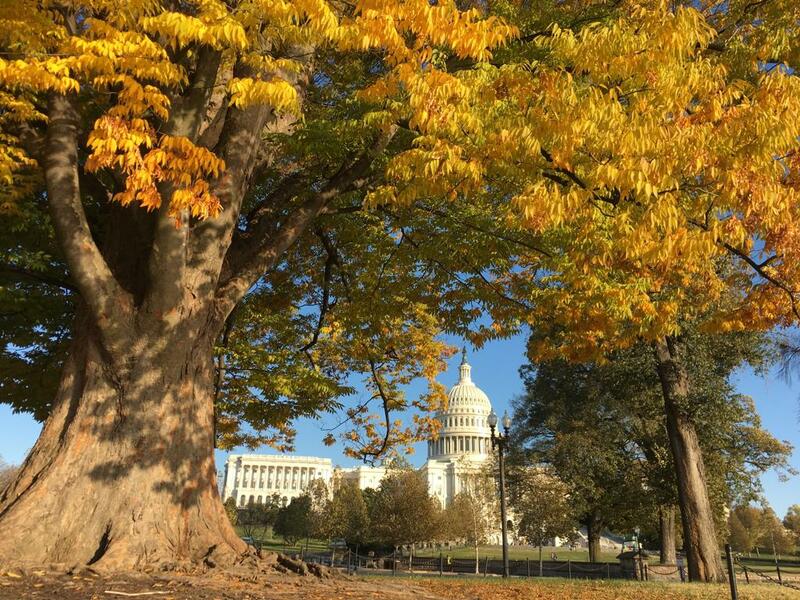 Here is What to do in Washington DC on Thanksgiving? Away from family during Thanksgiving? Don’t let this bring down your holiday spirit. Whether you are celebrating alone or with friends, we’ve got you covered (not in gravy per se—) from activities to dinner. If you are around Washington D.C. or in town for a visit, there are many seasonal activities to make your holiday festive and memorable. What is a better way to give thanks than to volunteer? Share some love and care by lending a hand to local charitable organizations. You can help out with serving holiday meals to homeless or prepare gifts. Another option is to participate in the Turkey Trot to raise money (might as well burn a few extra calories for that extra slice of pumpkin pie you will not be able resist, too). The Thanksgiving Day Trot for Hunger: November 22, 2018 at 8:30 a.m starting in front of Freedom Plaza. The 5K run/walk, which is sponsored by SOME (So Others Might Eat), supports work to serve more than 10,000 people in poverty every year. Organizations to contact for volunteer work: SOME, Capital Area Food Bank, The Holiday Project, Salvation Army, Food & Friends, and Toys for Tots. For those who want some entertainment, there are a variety of choices such as live performances, attractions, parties, and even a gala! The Nutcracker: starts from November 29, 2018 at Warner Theater. A Christmas Carol: Ford’s Theater, various dates. Silent Night (Pulitzer Prize-winning opera): The Kennedy Center, various dates. Light Displays: ZooLights at the National Zoo starting from November 23, 2018. Free Admission, 5-9 p.m., open rain or shine! National Mall: You can visit the Smithsonian Museums, Botanical Garden, the National Gallery of Art, and much more! Thanksgiving Eve Party by Mer Events: Ozio Rooftop Lounge, November 21, 2018, 6-10 p.m.
We realize it can be disheartening to be away from family; after all, that’s what makes Thanksgiving dinner so special. However, this doesn’t mean you have to miss out on the feast as well. From a juicy slow roasted turkey to delicious pumpkin pie, these options will surely minimize your longing for a family table. If preparing the turkey is not your forté, with choices from prix fixe to à la carte, you can still enjoy a Thanksgiving dinner at a restaurant or for pick up. The three-course family-style menu includes burrata, roasted turkey breast with a side of potato puree and crispy brussel sprouts, and pumpkin seed crumble. The Italian restaurant received two and a half stars from Washington Post and Zagat ranked it among best Italian in DC. $65 per person, 3-9 p.m. Enjoy a relaxing 2-hour cruise on the Potomac River with a Thanksgiving inspired afternoon lunch. Menu includes a mashed potato bar, roasted turkey with cranberry orange sauce, and pumpkin pie. $64.50 per person, 1-3 p.m. The famous family-style Italian restaurant offers a traditional Thanksgiving dinner with all the trimmings. You can choose from prix fixe to a la carte and even order straight to your home! Enjoy an 18-pound roast turkey for $250 (feeds 6-8). The historic restaurant offers roasted turkey, herb crusted natural angus prime rib, apple and mustard glazed wild salmon with a la carte soup or salad selection. November 23, 2018, 1-8 p.m, $59 per person. The Indian restaurant is offering a Thanksgiving dinner and a la carte menu. Flavorful choice of Turkey Mussalam with Butternut Bharta, Cranberry Pulao, and Onion Sage Kulcha. Open for lunch from 11:30 a.m. to 2:15 p.m and for dinner from 5:00 to 9:45 p.m. Turkey dish is $22 (excluding tax and gratuity).